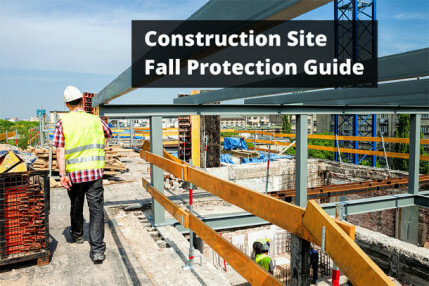 Fall protection regulations can be confusing to begin with, but throw in a subpart that includes an exception to the rule and there’s bound to be people who get completely lost. To fully understand the requirements related to scaffolding fall protection, you must first understand the concept of vertical and horizontal standards. 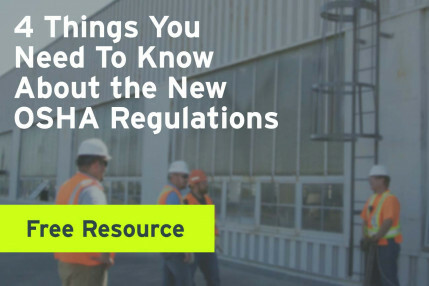 These terms refer to two different types of OSHA regulations. 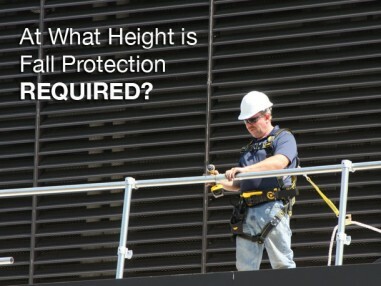 A horizontal standard is a broad, general standard, like 29 CFR 1926 Subpart M: Fall Protection. This standard is your basis for fall protection. It is where you begin. A standard like 29 CFR 1926 Subpart L: Scaffolding is considered a vertical standard. This means that it is more specific. It is important to note that issues addressed in a vertical standard always override the same issue addressed in a horizontal standard. 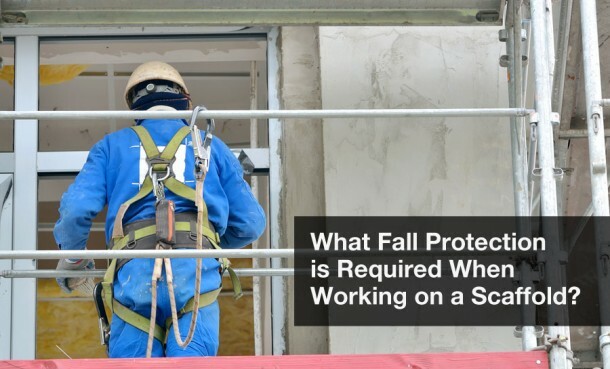 Simply put: Any rules regarding fall protection in a vertical standard like Scaffolding, override any rules regarding fall protection in a horizontal standard like Fall Protection. For example, Subpart M tells us that in construction you must have fall protection beginning at 6 feet [29 CFR 1926.501(b)(1)], but Subpart L says, no, not when you’re using scaffolding. When you’re using scaffolding, it’s 10 feet [29 CFR 1926.451(g)(1)]. So, which is correct? Ding, ding, ding! You guessed it! 10 feet. Why does OSHA allow for falls of up to ten 10 feet on scaffolding when most other situations require protection at 6 feet? Do we fall more gently from scaffolding than we do from any other elevated surface? Of course not. The simplest answer is that one bay of scaffolding is often greater than 6 feet tall. The regulations as written in Subpart M would have then required that the moment a worker stepped on top of a single bay, they would require fall protection. This was deemed an undue burden on masons and other trades that frequently use scaffolding, so the height restriction was raised. Now, we understand when fall protection is required, but how do we achieve compliance once we pass the ten foot mark? Like most other situations, you’re looking at one of two solutions: guardrails or tying-off. Most companies opt for rails because they’re easy to install since somebody is already building your scaffolding. The problem is, many don’t get the rails right. Scaffolding rules are complex, which is why OSHA requires they be erected under the supervision of a Competent Person (somebody with both the knowledge to recognize a hazard and the authority to correct it). However, judging from quite a bit of the masonry scaffolding out there, the so-called Competent Persons may not be so competent. For something like Baker’s scaffold, it’s simple. The rails are a part of the system and pop easily into place. Suspended scaffolding is often just as simple (though we’ll talk specifically about fall protection requirements in suspended scaffolding in a moment). System scaffolding set up by a professional scaffold company (or properly set up by your own personnel) includes the necessary rails as well. Masonry scaffolding on the other hand, is often assembled incorrectly. Masonry scaffolding is made up of components – uprights, outriggers, cross braces, base plates. What is not included is mudsills, planks, or railings. Often, providing these pieces is left up to the company erecting the scaffold. Rails usually consist of 2x4s wired to the uprights (if they’re installed at all). Even then, they’re often not completed properly. One of the most frequently cited issues with railings is that the ends of scaffolding are left unprotected. Companies will spend time and effort making sure the length of the scaffold is protected behind the workers, but forget to enclose the width of the scaffold, front to back on each end. The other part that’s missed is that where cross-braces exist, companies believe they are protected by “guardrails”. This is only partially the case. The regulations state [29 CFR 1926.451(g)(4)(xv)] that cross-bracing can only be a top rail OR a mid-rail, depending on where the two braces cross. If they cross between 20 and 30 inches from the walking surface, they can serve as a mid-rail. If they cross between 38 and 48 inches, they can serve as a top rail. NEVER both (as it would be impossible for the two straight cross braces to cross in more than one location). So, since a window washer’s scaffold is completely enclosed by rails, that’s all the fall protection that’s needed on that piece of equipment, right? Wrong. Suspended scaffolding is different. With suspended scaffolding, you are required to be tied-off at all times. For one or two-point suspension scaffolding, you must be tied-off to an anchor point / fall protection system completely independent of the scaffold on which you’re working. For a four-point suspension scaffold, you can be tied off to the suspended scaffold itself (given that the manufacturer of that suspended scaffold has included an approved anchor point). However, when suspended in a scaffold, it would seem that if an independent tie-off is achievable, it’s best to achieve it. As in the four-point suspended scaffold, components of a supported scaffold may only be used as anchor appoints if approved by the manufacturer. This is important, since many scaffold systems could be taken down by the forces involved in a fall. All of this is just a basic overview. In the regulations, there are allowances for horizontal lifelines in suspended scaffolds, requirements for how vertical lifelines should and should not be attached, and forces that rails must be able to withstand. Properly setting up planking (length of planks, proper overlapping, etc. ), as well as ensuring your planking is capable of supporting four times the weight intended to be placed on it, would also be considered fall protection. There is a reason why scaffolding always makes OSHA’s top ten list of most frequently cited violations: the requirements are complex. This is why it’s vital to have a Competent Person properly trained and experienced with the types of scaffolding you use. Not only is it required for you to have one, but as you can probably surmise from this overview, failing to have one could be a fatal mistake.